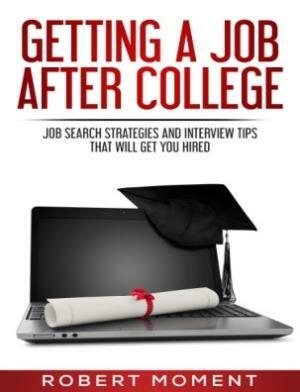 May 31, 2018 – Recent college graduates looking to land their dream job – now have a new resource to help them after Get Hired Expert and Author, Robert Moment, issued a challenge to 1 million recent college graduates to read his book Getting a Job After College: Job Search Strategies and Interviews Tips That Will Get You Hired. Past surveys indicate that the main reason young adults choose to attend college is to get a good job. But according to the Federal Reserve Bank of New York, approximately 50% of new graduates are either underemployed or working in jobs that don’t require a Bachelor’s Degree. Moreover, a 2016 study conducted by GradStaff found that recent college graduates failed to find jobs because they were unaware of opportunities or unsure of how to apply their skills to the workforce. Robert’s eBook will be launched on June 4, 2018 and will be available in the Amazon Kindle store from that date for 180 days. Participants are encouraged to read the book and employ the tips and job search strategies discussed in the book to find their job within 180 days. For further details about the 180 Days: 1 Million New Hires Challenge visit: http://www.gettingajobaftercollege.com.